Each year more than 1,000 people of all ages come together to remember someone special who has passed away. The annual memorial service, during the festive period, takes place in the Leicester hospice’s grounds, with access provided to their chapel. 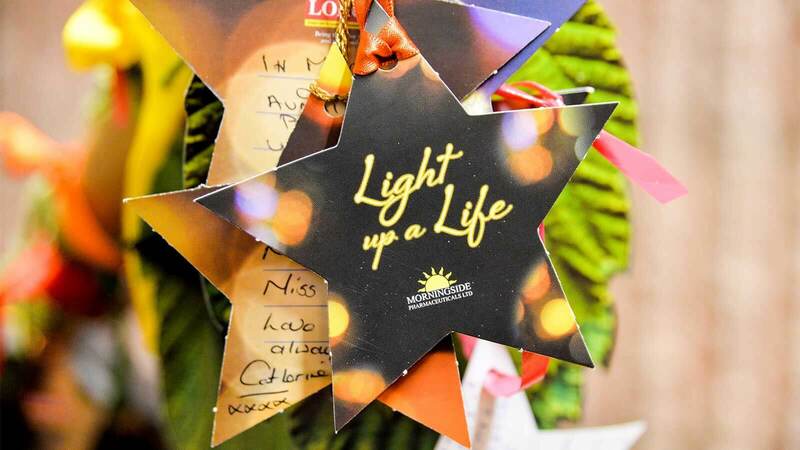 In 2016 and 2017 Morningside Pharmaceuticals Ltd were humbled to be given the opportunity to sponsor the Light up a Life service. LOROS Events Manager Laura Betts said: “We are so grateful to the team at Morningside for wanting to support our Light up a Life event once again. Dr Nik Kotecha, Chief Executive of Morningside, added: “This is the second time we have sponsored Light up a Life and we are once again honoured to be doing so. “Christmas can be such a difficult time when you’re missing that special someone but the Light up a Life service gives everyone an opportunity to come together and remember together. Dr Kotecha also supports LOROS by sitting on the charity’s Board.